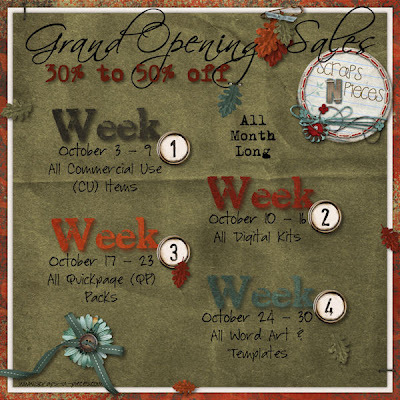 Memories by Digital Design: Grand Opening is TOMORROW!! Wow...how the time flew by this month. The designers at the new store Scraps N' Pieces have been working feverishly to get the store, forum, and gallery up and going for the big Grand Opening tomorrow. If you haven't already, head on over to the forum and get registered. You won't want to miss all the fun things we have planned (some have already started), not to mention the sales and freebies. 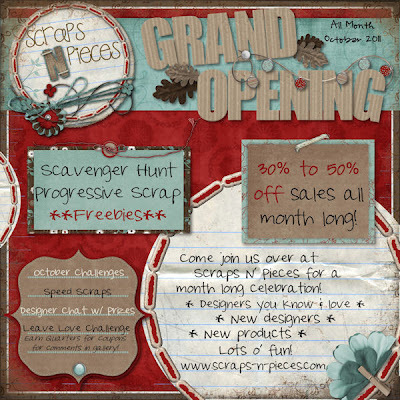 Tomorrow we have a Progressive Scrap starting, a Speed Scrap tomorrow night, and we already have a Leave Love challenge going on (leave love in the gallery and you can earn coupons from your favorite designers). We are also starting two new fun programs. This first is the Loyal Customer Program. 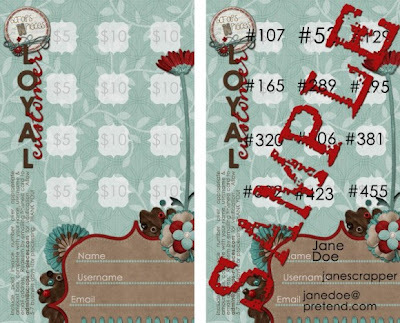 Spend $100 in virtual downloadable products, get a $10 coupon to the store. You need to head over to the forum (linked above and the image below is linked as well) to download the card (shown below). All the details are listed there. 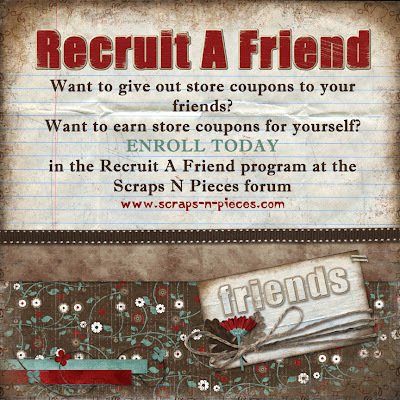 The other new program we're starting is the Recruit-A-Friend program. It's simple: you're assigned a coupon code, get 10 friends to spend a minimum amount and use coupon code, you get $3 off a purchase to the store. And you can keep referring people beyond the 10, which means you keep getting $3 off.